The phytic acid nutritional impact on our modern diet might be underestimated. Are you aware of its impact on your health? Phytic acid inhibits the absorption of calcium, zinc, and iron, which are all widely discussed topics in nutrition deficiency today. In a way, it blocks the enzymes in your food that help you digest and assimilate what you eat. It stops you from absorbing what you need as you digest your. If you can’t assimilate your food’s vital nutrients, it doesn’t really matter how much good food you eat. 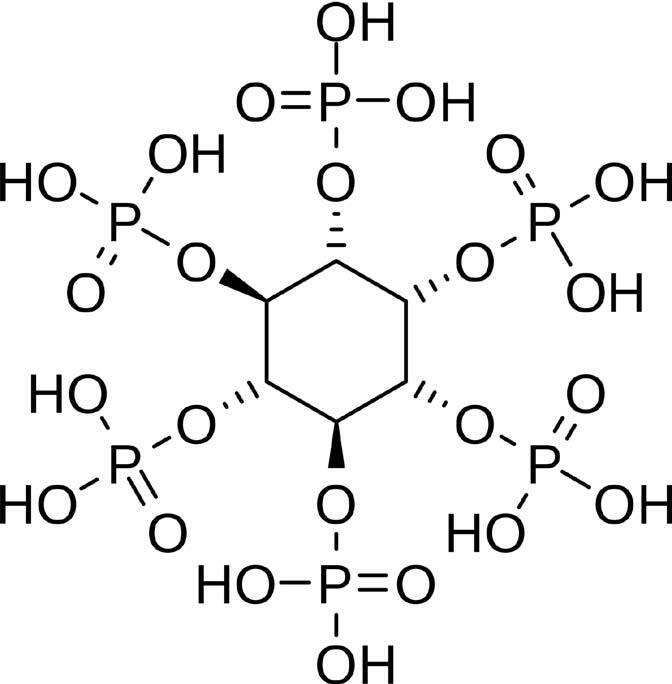 Were does phytic acid come from? Phytic acid is a germination stopper – a natural preserving agent designed to protect the seed from sprouting in improper growth conditions. It comes from grain, seed, and legume hulls and provides protection – ensuring that plants sprout only when survival of the new sprout is most likely. Studies have shown that it also strips your bones and teeth of integral nutrients when you eat too much of it. So how do you get rid of all that phytic acid? Great question. Think about it like this. When a seed receives or absorbs enough water, the natural reserves of phytic acid on the hulls of grains, seeds, and legumes are reduced in such a way that the seed begins to sprout, and the acid is naturally diminished. The best way to get rid of phytic acid is taught by nature – Soak your grains, seeds, beans, etc. 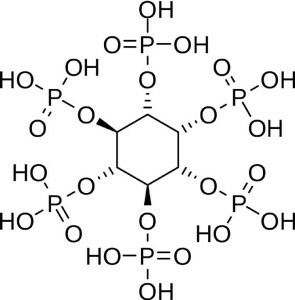 in water, until the phytic acid reduces to safer levels. 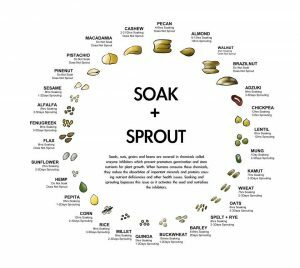 Does sprouting remove phytic acid? In short, yes! 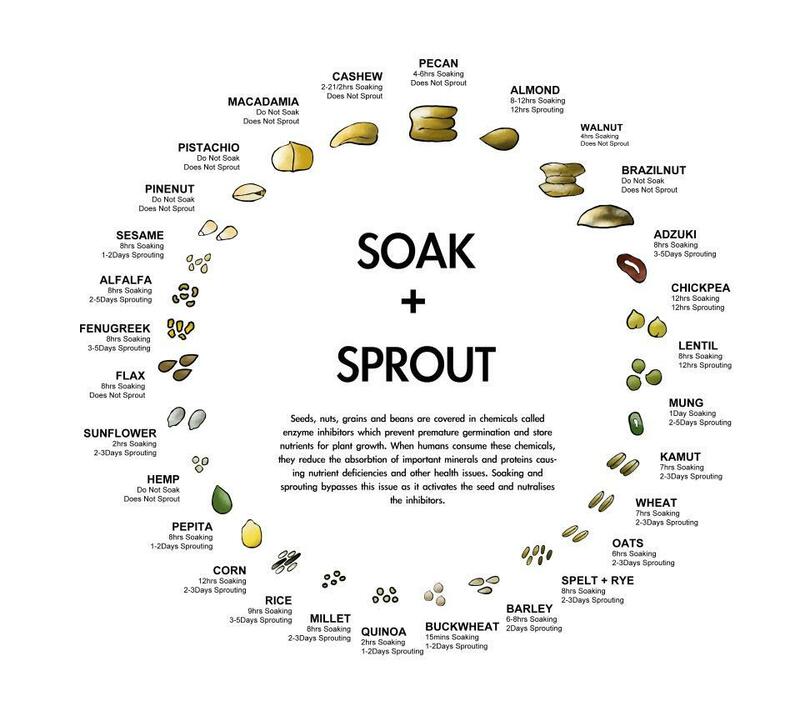 Once you sprout these seeds you unlock more nutrition, and remove phytic acid. Inside the seed are starches, minerals, vitamins, proteins, and other vital nutrients that the baby plant will need to grow once it sprouts. These same vitamins, minerals, proteins, etc., can be found in fully grown plants and produce, but they are much less concentrated in those more mature forms. In other words, you need to eat more volume of older plants to get same benefit of eating smaller amounts of sprouts. That is why sprouts are so amazing. They are a way to overcome phytic acid’s nutritional impact on your health while getting a nutrient packed meal at the same time. Sprouts are excellent sources of vitamins, minerals and proteins that go right into your body. The enzymes in sprouts help restore your body’s functionality and health, making your body “younger” than you thought it was. How’s that for effective eating? We’ve even taken the time to wash the hulls off your sprouts, making the phytic acid nutritional impact a thing of the past. Share the post "Phytic Acid Nutritional Impact"